The Gluten Free and Allergen Friendly Expos (GFAF) are the largest and fastest growing special diet consumer events in the US. Started in 2007, the events are professionally managed and have expanded from one to eight cities throughout the United States. 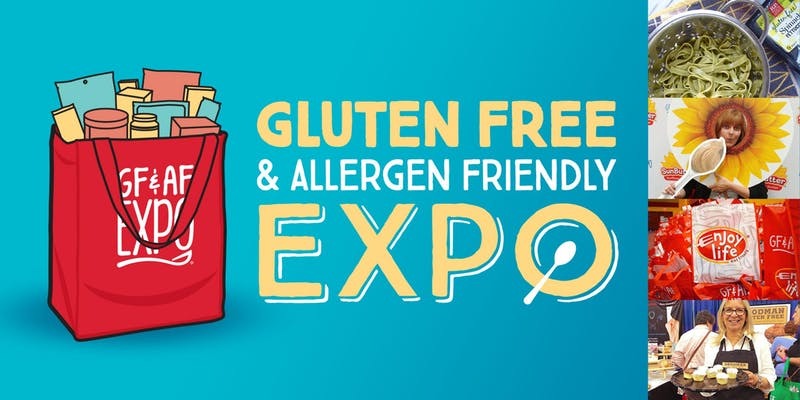 In addition to meeting the needs of the Celiac community, the Expo welcomes those with gluten sensitivities, auto-immune/inflammatory diseases and autism. Lucky for North Cali residence, the GFAF is coming to town in less than 2 weeks! As someone who embraces a mostly gluten-free diet, I went last year and it was amazing - so much to see, so much to eat and so much to learn. *Samples from the vendors are considered to be gluten free. Parking is $12 per day. There are no "IN & OUT" privileges.